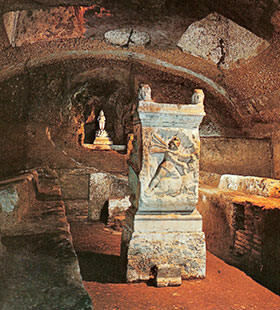 Enjoy underground Rome during a relaxing and entertaining, small, semi-private group tour. Discover underground Rome, buried deep beneath the bustling capital. Descend into the bowels of the earth on a journey to the ancient world of the eternal city. Uncover the three underground levels of the Basilica of San Clemente, a 12th century church- home to breathtaking mosaics and frescoes dating back to the 4th century. Its deepest level reveals homes as old as 1st century BC that would have been on street level. 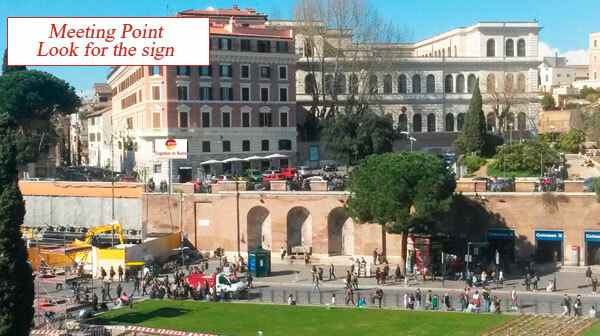 Our tour proceeds to the Roman houses under the Basilica dei Santissimi Giovanni and Paolo. Here, a stones’ throw from the Colosseum, you will discover an enchanting medieval piazza far from the crowds of tourists. You will admire the church with its stunning frescoes and wander the roads, exploring the homes of Imperial Rome. 55,00 € Reduced tickets for teens 6-17 y.o. Roman Houses on the Celium Hill. Tickets, headsets (over 6 people) and reservation fees included.